Thailand’s government has opened an investigation into BBC’s “BBC Thai” and its recent activities. It is accused of maliciously slandering Thailand’s newly appointed head of state, King Maha Vajiralongkorn in a recent “profile” published in both English and Thai on its website and across social media. The BBC, known for misleading the public globally, has helped justify devastating wars, political conflict, and the socioeconomic division and destruction of entire nations. While the Western media attempts to portray the BBC’s row in Thailand as merely a Thai issue – it is in fact the latest in an extensive global backlash against the monopoly the West has – until now – enjoyed over the media. 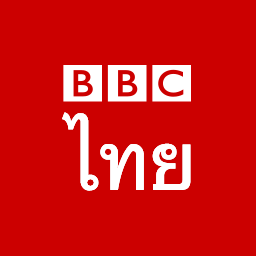 While the BBC has maintained an office in Thailand for years, “BBC Thai” was created only in 2014, just after the US-backed regime of Thaksin Shinawatra – headed by his own sister Yingluck Shinawatra – was ousted from power amid massive street protests and a subsequent military coup. 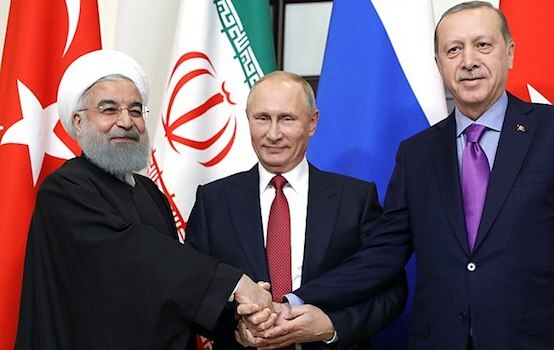 Since then, the BBC has worked ceaselessly toward undermining the government, the military, as well as attacking the nation’s ancient and revered institutions in an effort to bolster Western-backed opposition fronts. This includes several notable stunts including the BBC’s Jonathan Head visiting the 2015 Bangkok bomb blast scene to tamper with evidence in an effort to undermine the investigation and humiliate investigators as well as the government. Head would confiscate evidence from the scene and carry it to a near by police station – all on camera – in a very public and staged attempt to depict investigators as incompetent. Despite what is a chargeable offense in even the most liberal nations, Thai police attempted to downplay the incident. During the deluge of leaked documents and emails over the past year, information regarding the Foreign Correspondents’ Club of Thailand (FCCT) of which the BBC’s Jonathan Head is a senior figure, revealed ties to convicted financial criminal George Soros and Open Society. Head would flatly deny the accusations first published by Bangkok-based alternative news site “The New Atlas,” before admitting to “a one-off media seminar in Myanmar.” However, further investigation revealed that the FCCT included in its Bangkok office, and headed by the FCCT’s own president – Dominic Faulder – “The Indochina Media Memorial Foundation” (IMMF) whose actives were indeed funded for years by Open Society. Thailand is currently undertaking a sensitive transition. The universally revered King Bhumibol Adulyadej’s passing in October 2016 began a year of mourning as well as the process of his son and successor, King Maha Vajiralongkorn assuming responsibilities as head of state. King Maha Vajiralongkorn has already appointed a new Privy Council. containing several members from his father’s inner circle as well as several new advisers who were central in maintaining national unity and stability amid Thailand’s recent political crisis. The appointment of this Privy Council reveals that rumors intentionally spread by the Western media – including the BBC – were categorically false in regards to the “turmoil” and even “civil war” they attempted to promote for years before the anticipated transition in an effort to stoke fear and division among the Thai public. Regardless of the BBC and other names amongst the Western media being involved in serial deception, they continue using their journalistic credentials to shield themselves from both official and public backlash in Thailand – just as they have elsewhere around the world. 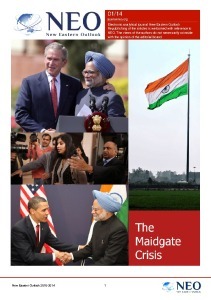 Considering the significant human tragedy the BBC has helped precipitate in, targeting nations like Iraq, Libya, Syria, Ukraine, and Yemen, Thailand’s reaction to the BBC’s politically-motivated tactics and overt attempts to agitate under the cover of “journalism” is proportional to the very real, clear, and present danger it poses to national security. In reality, the BBC could easily be considered among the “original fake news networks.” And if “fake news” must be countered, the BBC should be first in line.